It was clear sky on Dec. 1 2008. 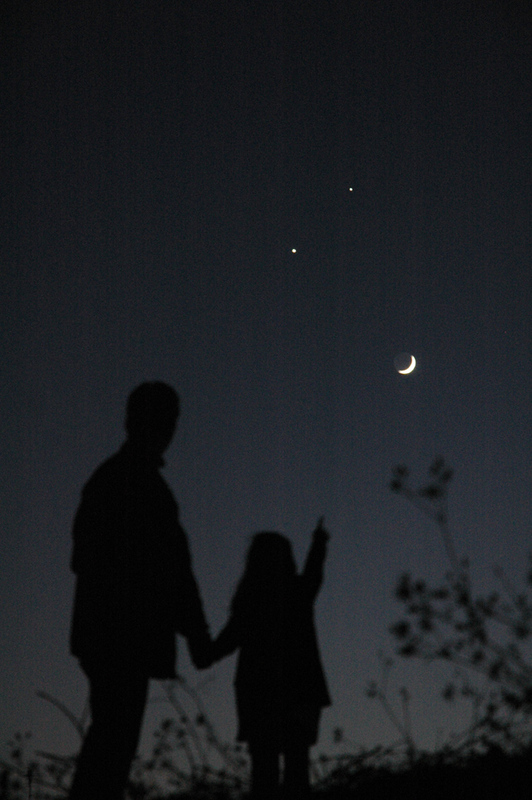 I took a walk with mｙ daughter to watch a triple-conjunction of stunning beauty.. I think this photo is like IYA2009'LOGO,don't you? A wonderful memory for you and your daughter. We missed it in North Dakota, USA, due to clouds. I will keep your picture as I, too, have a very special daughter!